This card is another product of failure (the same failure that I mentioned last Friday!). There was a light coating of Melon Mambo and Pacific Point ink on my Marbled background stamp so I spritzed it with water and pressed it down onto a piece of watercolour paper. I was quite disappointed with the result - there was a very light print at one end from the Melon Mambo ink but half of the piece looked unaltered. A simple Christmas card produced from a failed watercolour background! Nevertheless, once the piece was dry, I sponged with Pacific Point ink and thought it would be a suitable background for a Christmas star. So I cut some Dazzling Diamonds Glimmer Paper with a die from the Starlight Thinlits and adhered it to the front. 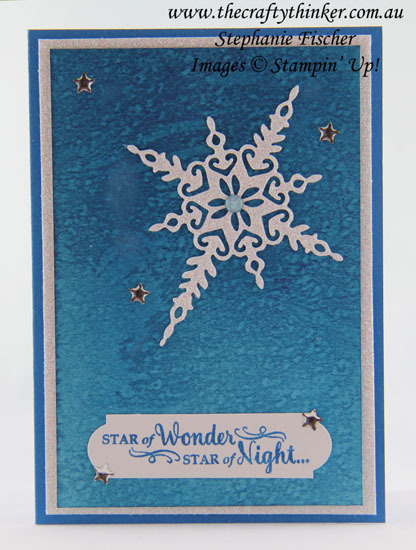 I stamped a greeting from the matching Star of Light stamp set and cut it out with one of the Lots of Labels framelits. I then trimmed it down and added some silver stars from the Metallic Enamel Shapes. I added a Glitter Shape to the centre of the star. 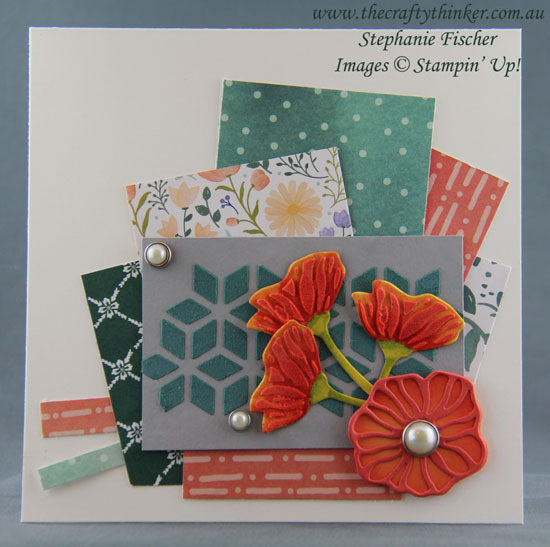 Welcome to the Crazy Crafters' Blog Hop with our Special Guest stamper, Susan Wong from Auckland, New Zealand - we are thrilled to have Susan join us this month and so excited to CASE (Copy And Selectively Edit) any project that has been created by her . Although I'm not a scrapbooker, I have chosen one of Susan's gorgeous memory keeping projects to CASE .... but I've made it into a 5.5" square card. 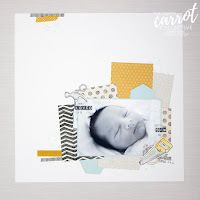 A great layout can be put to any purpose and using pieces of printed paper makes for a very quick and easy card! To a base card of Whisper White Thick cardstock, I've added a variety of offcuts from the Delightful Daisy Designer Series Paper and the Fresh Florals paper stack. The rectangular focal is a piece that was already sitting on my desk - I made it to use some excess Embossing Paste that I had coloured with Tranquil Tide ink for this card. 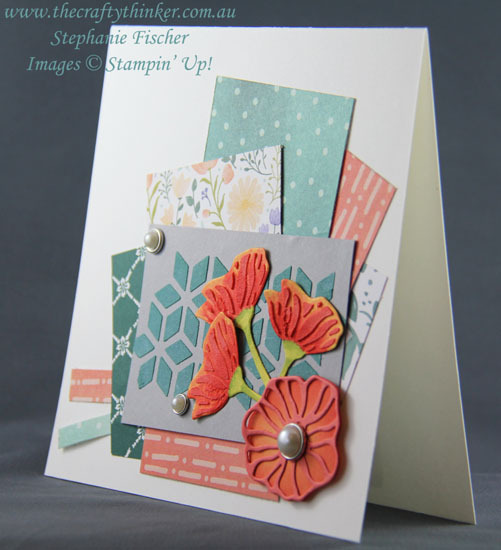 The large flower is made from Peekaboo Peach and Calypso Coral cardstock. The three smaller flowers are made using this method but with Calypso Coral ink.